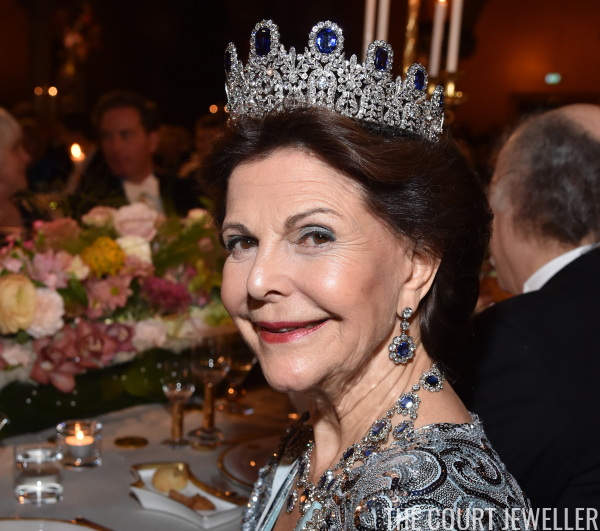 For the past several years, Queen Silvia has been alternating between two tiaras -- Queen Sofia's Tiara and the Leuchtenberg Sapphire Tiara -- for the Nobels. 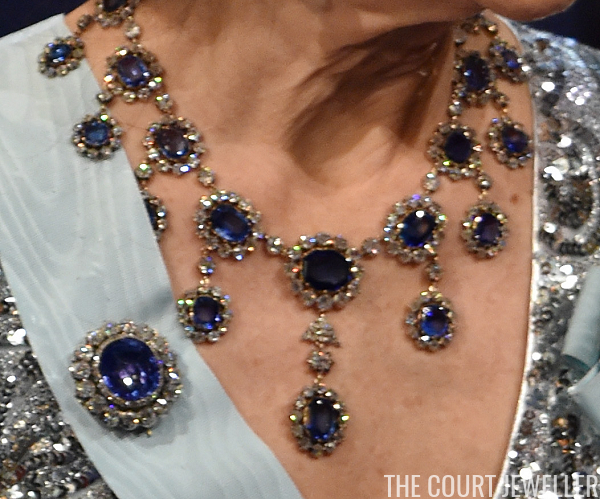 It makes things a bit predictable, but at least both tiaras are major pieces! This year, it was the Leuchtenberg's turn. Here's Silvia's RFO badge. 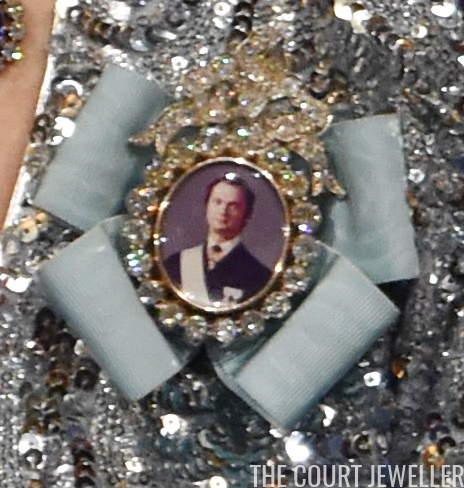 Again, different portrait of King Carl XVI Gustaf, different diamond frame. 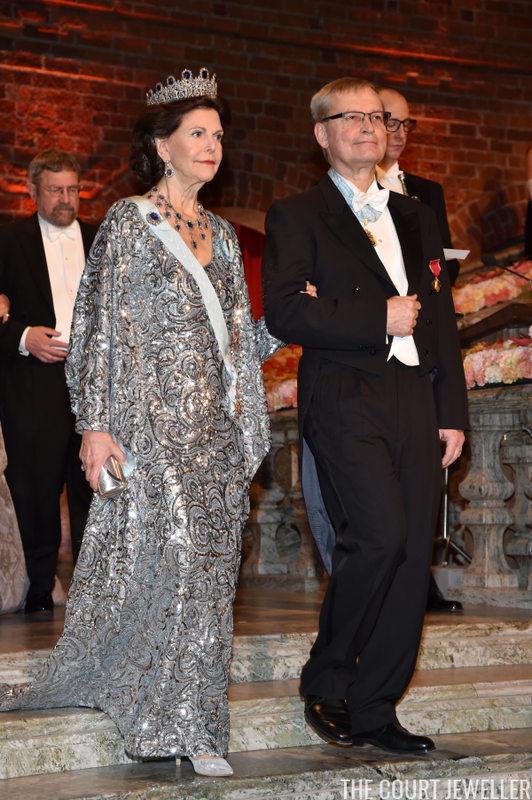 And here's the dress. 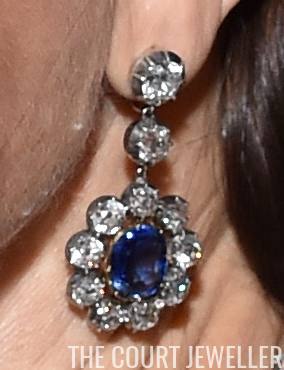 There are a LOT of sequins involved, and I don't love the way it pulls focus from the jewels. But the silhouette does look comfortable, so there's that!